LANSING, Mich. (WXYZ) — Michigan Gov. 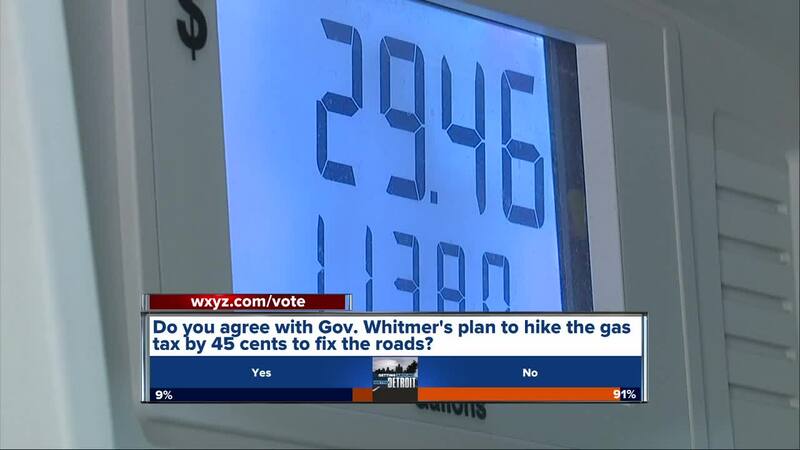 Gretchen Whitmer is expected to propose a 45-cent hike in the state gas tax in an effort to fix the roads. 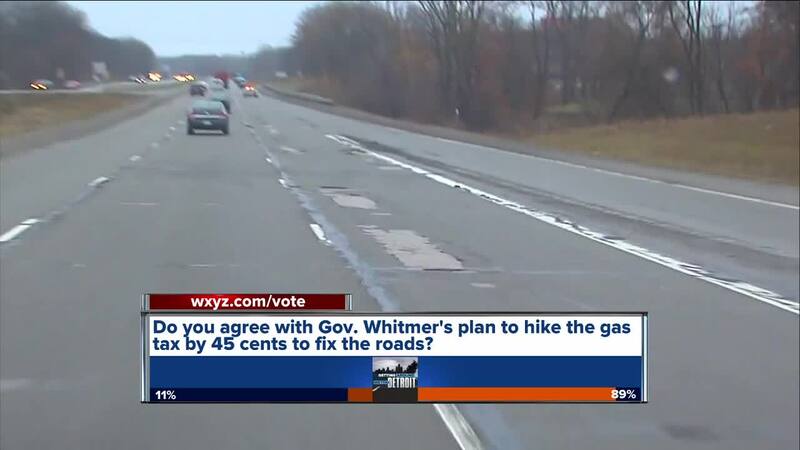 Whitmer pledged to "fix the damn roads" during her campaign. The current tax is 26 cents per gallon. According to the governor's office, there would be a fuel tax increase of 15 cents per gallon every six months, as opposed to it takng effect all at one time. Her office also said that she included a plan and protections to help offset the cost to peoples' pocketbooks. Also during her campaign, Whitmer said that she would try to get the Michigan House and Senate to increase user fees, which include both the gas tax and vehicle registration fees. She said that if the legislature reuses, she would go to the voters to pass a bond. “A good solution to a bad, bad problem that’s impacting every one of us. We are all paying for lousy roads. We are paying a road tax right now in the form of car repairs as opposed to fixing the damn roads," Whitmer said during the launch of the "Fix the damn roads" campaign.